Who your customer’s are, what they like, their age, gender, and much more really plays a role when you are opening a restaurant or remodeling a place you have already established. 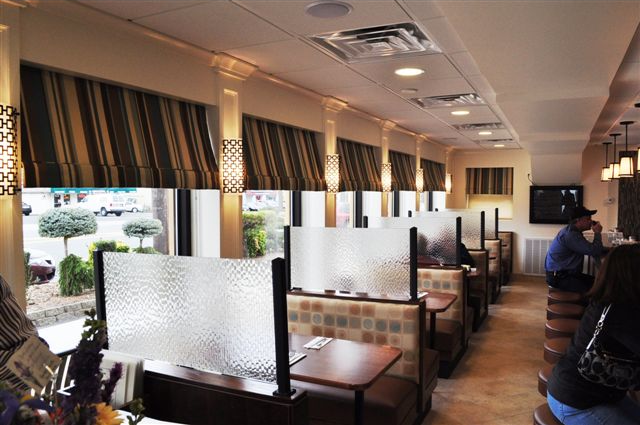 It is important that your restaurant layout creates a space suited to your clientele. Your restaurant furniture layout should be set up in an efficient layout, allowing customers to find what they are looking for and get in and out quickly( this allows for a larger customers flow, and inevitably a larger cash flow). When it comes to your restaurant furniture layout, you’ll want to focus on how the waitstaff will manuever through the dining area, but you also want to give your customers maximum comfort. One thing to consider is what sort of food service you’re offering: restaurants that offer multiple courses require larger place settings and are not going to do as well with small tables as a restaurant that focuses on quick soups and sandwiches. If your customers are going to be sitting at a table for a short time, smaller tables and less padded chairs are okay; if your meals are designed to last longer than an hour, you’ll want to give the customers more room for more comfort. Other points to consider include how close the tables are; some people are comfortable walking into a family style restaurant, others are going to go out with an expectation of privacy and tables that have enough distance between them so that they wont know the life story of the person sitting next to them by the end of dinner. Similarly, in many cases your clients aren’t going to want to be “squished” into their tables; they want to have breathing room. When you’re choosing tables, chairs and booths for your restaurant, you’ll want to make sure that you’re focusing on the comfort of your customers: the more comfortable they are, the more likely they are to keep coming back, staying longer and recommending your restaurant to their friends and family members.